When it comes to vintage Rolex references, collectors generally target those that have in some way helped shape the company’s rich history. Being the first reference to feature a new material or complication is not necessarily enough to create a demand in the vintage market; however being the first reference of highly successful model will certainly stir up some interest among collectors. A precious Rolex GMT 6245 has a deep rooted history. 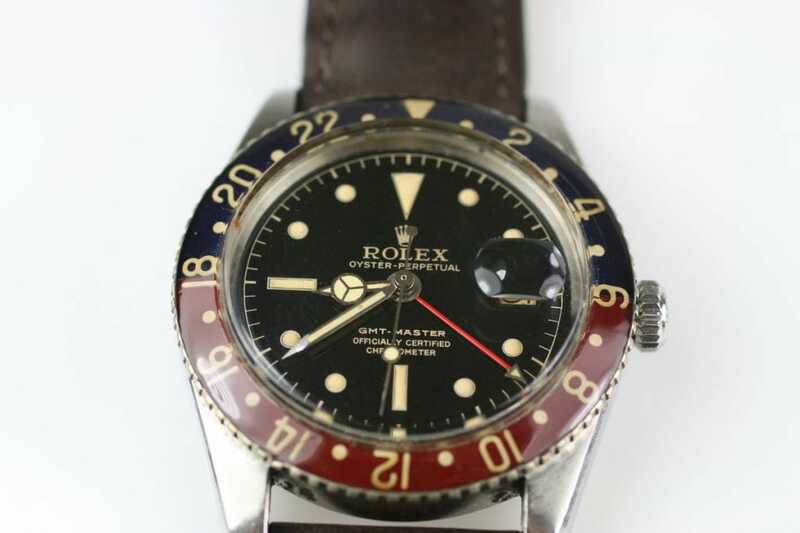 Easily one of the most successful lines ever produced by Rolex, the GMT-Master is popular both in its contemporary incarnation as well as its history on the vintage market. First produced in 1954, the GMT-Master, reference 6542 was developed for Pan-Am Airlines after the company requested a reliable watch that could display more than one time zone at once (for use on transatlantic flights). This Rolex Reference 6542 comes on a Jubilee bracelet. Rolex’s answer to Pan-Am Airlines’ request was the reference 6542. They were able to accomplish the dual time zone requirement by adding a 24-hour hand and a rotating bezel to a 25-jewel automatic movement. The 24-hour hand and the regular 12-hour hand are directly linked; allowing the user to set the watch to the primary time zone, then adjust the bezel so that it would display the secondary time zone. Due to its simultaneous time zone capabilities, Rolex titled the watch the GMT-Master – a reference to Greenwich Mean Time – the prime basis of standard time used throughout the world. 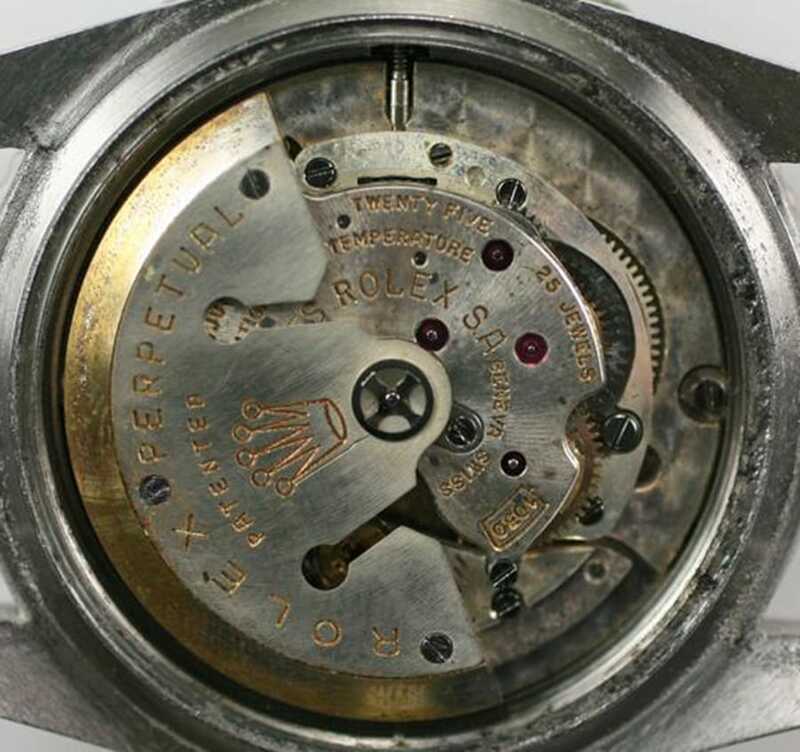 The Rolex 6542 Movement is highly accurate, made with 25 jewels. Although simple in execution, the reference 6542 was a success, and soon pilots and travelers alike were purchasing the watch for its dual time zone capabilities. 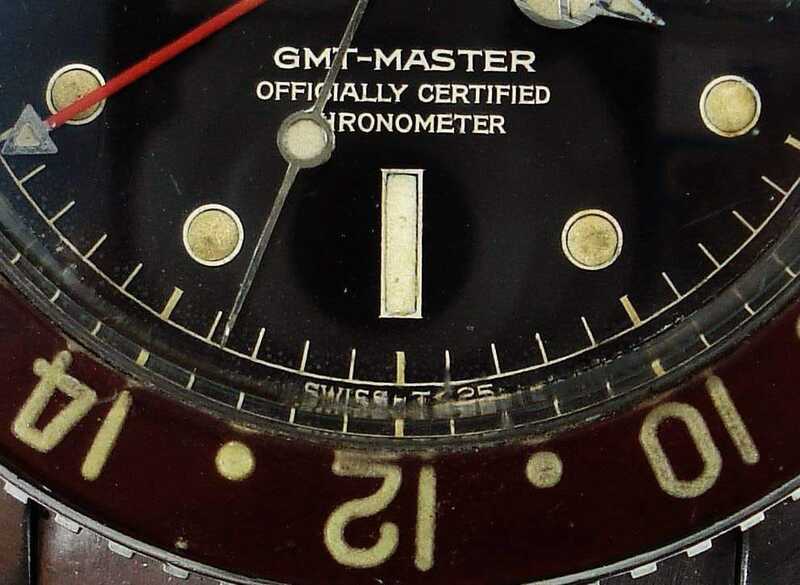 The first GMT-Masters featured bezel inserts that were made of an acrylic called Bakelite, with radium numerals sunk into the plastic. However, due to their fragile nature and radioactivity, Rolex replaced them with metal versions in 1956, making the original Bakelite versions extremely rare and valuable. The GMT Master 6542 was made for pilots. The reference 6542 is instantly recognizable from other GMT-Masters due to its lack of crown guards and its slender 24-hour hand. All Subsequent GMT references, including the GMT-Master II have the addition of crown guards, while no GMT other than the 6542 has ever featured the same slender, 24-hour hand. An aged GMT-Master has a great patina. Rolex has been producing high quality, tool watches for well over a century. Long before they were known as a high-end luxury brand, they built their reputation by producing reliable watches oriented towards specific purposes and environments. The GMT-Master perfectly embodies Rolex’s history, as it was initially designed for Pan-Am pilots, however it later became a watch for wealthy members of society who frequently traveled. Although it does not get quite as much attention as the Submariner, the GMT-Master is easily one of Rolex’s most successful models to date, and the reference 6542 was the one that started everything.